Help South Carolina Teen Drivers Survive ‘100 Deadliest Days’ - Harrison White, P.C. Blissful days of summer vacation bring to mind thoughts of cruising around town and stopping for a burger and shake at the local drive-in. But those carefree teenage days can turn tragic because of the increased potential for car accidents and fatalities. Summer driving is so dangerous for teens that the period from Memorial Day to Labor Day is actually referred to as the “100 deadliest days” of the year for teen driving. In a recent year, almost 1,000 people – more than 550 of whom were teens – died in wrecks involving teenage drivers, according to the National Safety Council (NSC). Car accidents are the No. 1 cause of U.S. teen fatalities, and young drivers are three times more likely to crash than experienced motorists. On average, 122 drivers under age 21 were involved in fatal crashes in South Carolina from 2008 to 2012, the National Highway Traffic Safety Administration reports. With those facts in mind, the NSC is encouraging parents to take an active approach to ensuring their teen drivers are safe this summer. Why Do Teen Car Accidents Occur? Rather than having a purpose such as getting to school or work, summer driving is often recreational for teens. 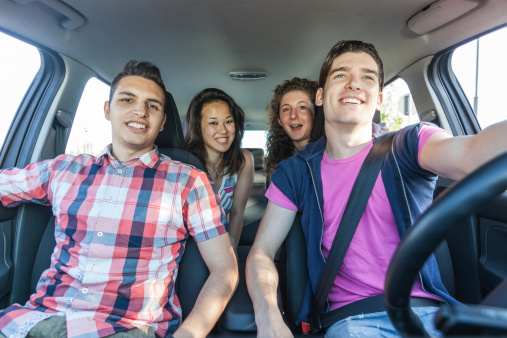 Friends are more likely to be riding in the vehicle, which increases the risk of a crash by 44 percent for teen drivers. Summer vacation often means teens are out late at night, when the potential for getting into a wreck is greater. Good weather tempts teens to speed, increasing the chances for crashing. The NSC and other organizations urge parents to set ground rules and establish behavior they expect for safe summer driving. For example, a written contract between teens and parents containing privileges, rules and consequences can set up clear guidelines for driving, according to driveithome.org. It can also focus on the costs of driving, personal safety and vehicle maintenance. A beginner’s permit at age 15 allows driving if a licensed 21-year-old is in the vehicle. Driving is prohibited between midnight and 6 a.m.
A conditional license for drivers between ages 15 and 16 who hold a learner’s permit for 180 days and complete a South Carolina driver’s education class with 40 hours of supervised driving (including 10 hours at night) allows unsupervised driving during daylight hours. No more than two passengers are allowed unless a parent or legal guardian is in the car. A special restricted license for drivers between ages 16 and 17 allows them to drive during daylight hours. To drive between 6 p.m. and midnight requires a licensed 21-year-old in the vehicle. There are no passenger restrictions, and driving can be allowed through midnight if the curfew conflicts with job or school activities. A full, unrestricted South Carolina driver’s license can be granted after six months of holding the special license. Parents should already be aware of these rules for driving in South Carolina. However, it helps to double check the rules and make sure their teen is complying with them, especially the rules concerning passengers and curfews. Not only should parents be aware of the rules for driving in South Carolina, they should take them a step further and put their own restrictions on summer driving for teens in an attempt to avoid dangerous car crashes.